GYMNASTICS/TUMBLING CAMP - 3 WEEKS TO CHOOSE FROM! 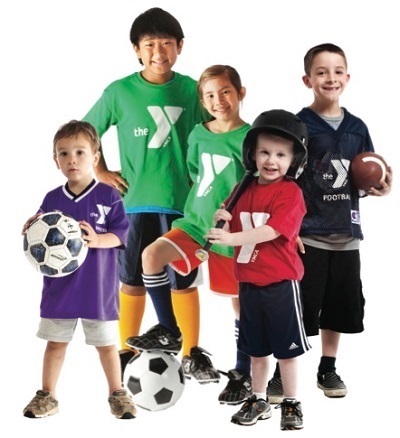 Must register for Sports Camps at the YMCA front desk due to necessary consent forms. Insurance information is required on the Parent Consent Form - please bring with you! Ages for camps are based on age as of June 1, 2019 and/or grade level for the 2019-20 school year. Summer memberships available - see "Membership" tab for details. Anyone wishing to attend both a Day Camp and a Sports Camp scheduled for the same week will need to pay for both camps. Transportation to and from these camps is the parent's sole responsibility. Membership/Program scholarships are available. Applications available under Membership tab, YMCA Welcome Center or contact Cathy Peterson, Staff Coordinator. 3 WEEKS OF GYMNASTICS TO CHOOSE FROM!! Children age 4-6 will have 2 hours of drills and game play per day. Players age 7-13 will participate in a more intense full day training session. Offense, defense, passing, and ball control will be stressed along with game play. All participants need to wear a t-shirt, sneakers and shin guards. Sunscreen is recommended. Players age 7-13 will need to bring a lunch and plenty to drink each day! **In the event of extreme inclement weather, indoor shoes are needed. Girls entering grades 4 through 9 will be instructed in all phases of volleyball and game situations. These future volleyball players will practice the proper way to pass, set, attack and serve. Participants should wear shorts, t-shirt and sneakers. Knee pads optional. All attendance areas welcome! Camp is instructed by Mike Dolan, WAHS Head Varsity Volleyball Coach who recently led the Warren Lady Dragons to their first-ever District 10 Volleyball Championship Title and PIAA State AAA Championship game where they finished as Runner-up in the state of Pennsylvania. Meet several of these WAHS Girls Volleyball players and join them on the court during this exciting week of volleyball! Boys & Girls ages 6-17 years. Whether you are a newcomer to the sport or a varsity player, Skills and Drills Basketball Camp is designed to help young basketball players develop athletically while having fun. This camp will teach shooting, ball handling, rebounding, passing, defense and more. Every camper will receive a t-shirt and free basketball. Registration: Must register through Nelson Creative Services. Form available at Y Front Desk or call Tony Nelson at 814-688-9337 to register. Lunch: Pack your own or we offer 2 pieces of pizza, drink, chips and dessert for $5 per day/per child. Purchase for entire week and add $25 to camp fee per child or can purchase a la carte. **New for 2019...Girls in grades K-9th will be taught fundamentals and tips for softball; including hitting, fielding, base-running and pitching. Camp will be held at the WAHS Softball Fields located behind CTI Physical Therapy on Market Street, Ext. Participants will need cleats and a glove and are welcome to bring any other gear they may have. Bats and balls will be provided. All attendance areas welcome! Meet the WAHS Girls Softball players and join them on the field during this exciting week of softball! Location: WAHS Girls Softball Fields, Market St. Ext. Girls and boys ages 3-6 and 7-18 will participate in a dynamic, fun-filled week of Hip Hop dance, Jump, Tumbling and Stunts. Participants can join in the Annual 4th of July parade with the Extreme All Star Cheerleading & Hip Hop Dance Team! Parents are invited to observation day on Friday, June 28th. *T-shirts given if registered before June 8, 2019. Registration: Begins May 1, 2018. **Must register at Y Front Desk due to necessary consent form. Bring insurance information. **Two week-long Open Gyms for Cheer/Hip Hop held in May & July. See Extreme All Star Cheerleading page for details. This camp will introduce participants ages 5- 18 to the sport of track and field. Participants will run, jump and throw while having an action packed week of pure fun and expert coaching. Two weeks to choose from. The first week will be held at War Memorial Field and the 2nd week at Beaty Track. This camp will focus on learning the fundamentals of tennis. Participants will begin with understanding the basics of tennis. From there they will be taught strokes (techniques in striking the ball), footwork (proper movement on the court), as well as physical fitness and conditioning. Tennis camp will be taught by John Parroccini and Kimberly Parroccini. Coach Parroccini is a USTA certified coach and has been involved in the sport of tennis for nearly 50 years! A former tennis player himself, and the former WAHS Tennis coach, he is dedicating his time to introduce the sport of tennis to young players, with the intent of growing the sport in Warren County. Coach Parroccini's daughter, Kimberleigh will also assist with this camp. She is currently the captain of the women's tennis team at Lycoming College. Challenger Sports offers a complete range of summer camps all providing quality instruction from coaches who care about your child! Challenger’s many camp programs now boast an incredible team of coaches traveling to Warren, Pennsylvania from Australia, New Zealand, Holland, Brazil, USA and Canada as well as our traditional team of Brits from England, Scotland, Northern Ireland, Ireland and Wales to teach the sport of soccer! This diversity of experiences and cultures reflects the truly global nature of sport and this international team of coaches all have one thing in common — a genuine interest in helping with each player’s development and providing memorable and positive experiences through sport. Challenger's International Soccer camp is combining the most popular elements of their existing industry-leading camp programs, British Soccer and TetraBrazil, and will integrate them with a collection of the most effective soccer practices used by some of the most successful soccer nations from around the world. Ages 3-16 (see divisions below). Camp is held at War Memorial Field. ****Register through Challenger Sports - see below. REGISTRATION: Register at CHALLENGERSPORTS.COM. Or, pick up a registration form at the YMCA Front Lobby to mail. Free Jersey: To receive your Free Jersey, sign up online 30 days prior to camp start date. Only available while supplies last. S&H fees apply. 3 WEEKS OF GYMNASTICS TO CHOOSE FROM! Children ages 3-5 (Kindergarten in Fall 2019) will be instructed on floor exercise, balance beam, vault and uneven bars. Attire is leotards or shorts with a t-shirt tucked in. Long hair should be pulled back. All ability levels welcome. Parent observation will be on Friday of camp week. Maximum participants: 12 per class. Must be enrolled in 1st grade in Fall 2019 - up to age 16 to participate in Progressive Gymnastics Camp. Emphasis is on all four events: vault, bars, beam and floor. Please wear appropriate clothing - no snaps, buttons, zippers, long strings or baggy clothing. Long hair should be pulled back into a pony tail. Parent observation will be on Friday of camp week. Maximum participants: 30 per week. Beginner Tumbling is for ages 5-16 years. Emphasis is on floor only. Future gymnasts will learn all of the basic skills and will gradually progress up to more difficult skills. Please wear appropriate clothing - no snaps, buttons, zippers, long strings or baggy clothing. Long hair should be pulled back into a pony tail. Parent observation will be on Friday of camp week. Maximum participants: 18 per week. Advanced Tumbling is for ages 6-16 years. Emphasis is on floor only. Participants who have all of the basic skills of gymnastics (including handstands, cartwheels, front walkovers, back walkovers, round-offs, etc.) will learn more advanced tumbling such as: back handsprings, back tucks, front tucks and much more. Please wear appropriate clothing - no snaps, buttons, zippers, long strings or baggy clothing. Long hair should be pulled back into a pony tail. Parent observation will be on Friday of camp week. Maximum participants: 24 per week.